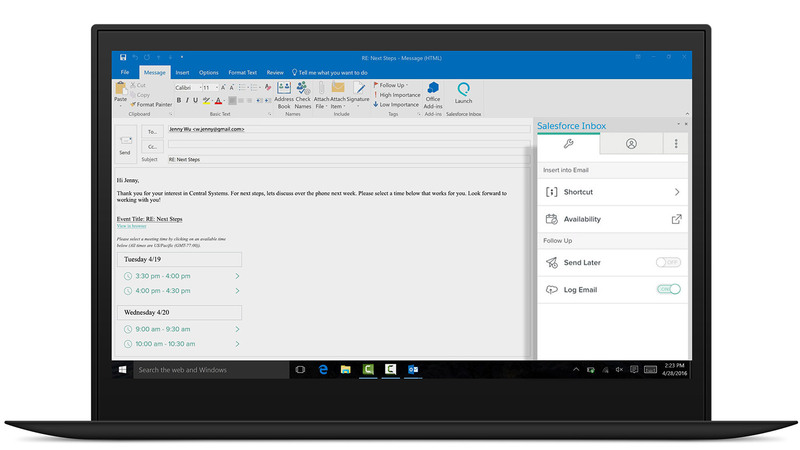 Bring the power of the world’s #1 CRM to your email. 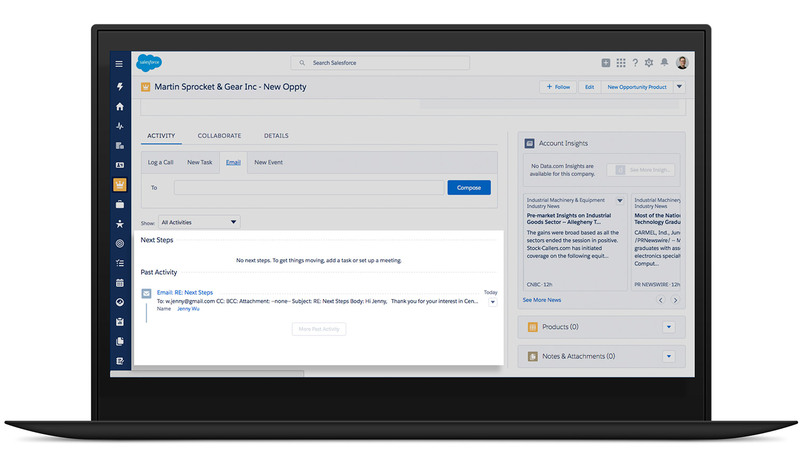 With intelligence built in, Salesforce Inbox helps you close deals faster while keeping pipeline data up to date. Take the tour to find out how to begin selling smarter today. 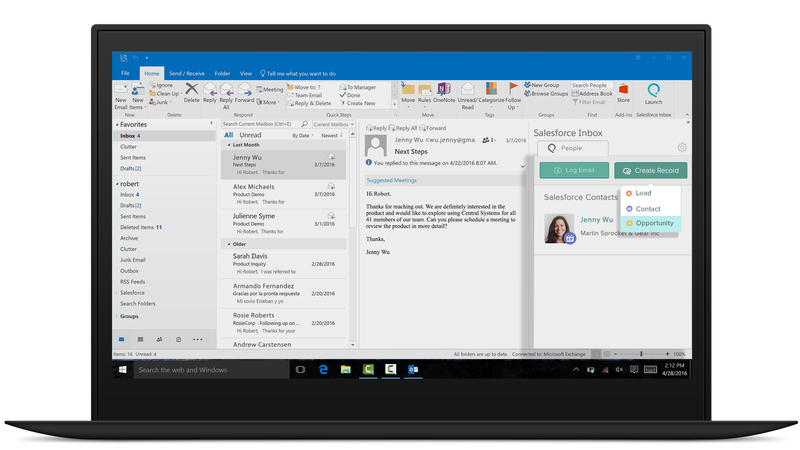 Connect your CRM and email using Salesforce Inbox Outlook Add-in. Built-in data intelligence empowers you to never miss an opportunity, while closing more deals with far fewer clicks. 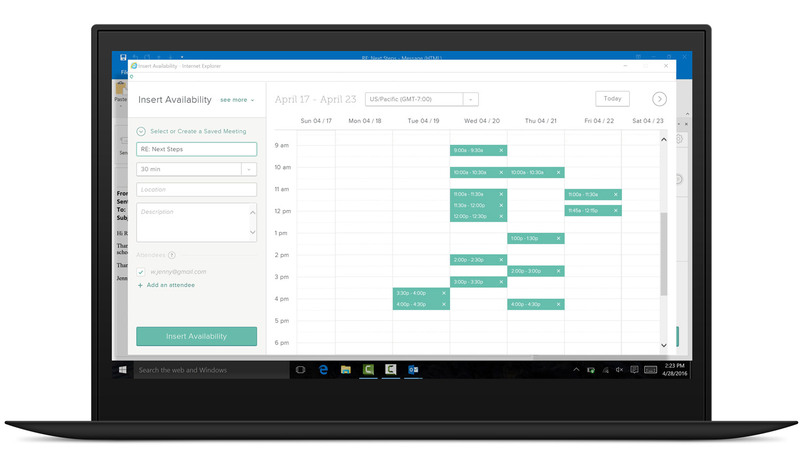 Access CRM data where you’re working. You have a new email from an interested customer. 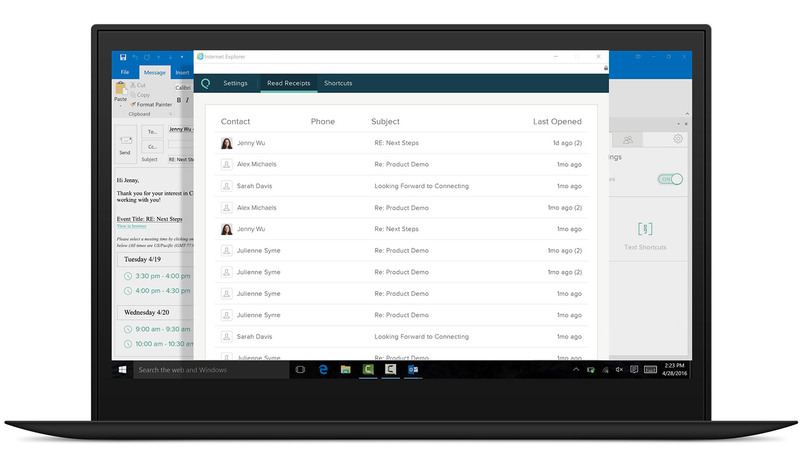 Open Salesforce Inbox to see if there are any existing opportunities. Update your pipeline in real time. It looks like this is a new deal. 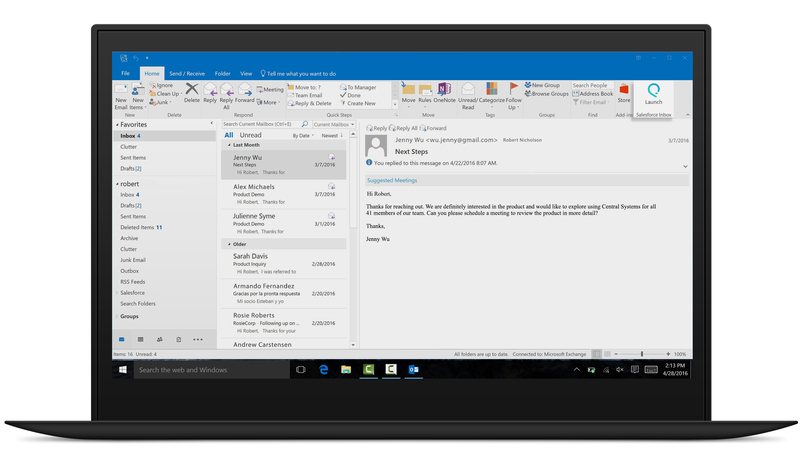 Without leaving your inbox, create a new opportunity so your pipeline is always up to date. Automatically insert your availability to schedule a meeting in just one email. Spend less time coordinating and more time selling. 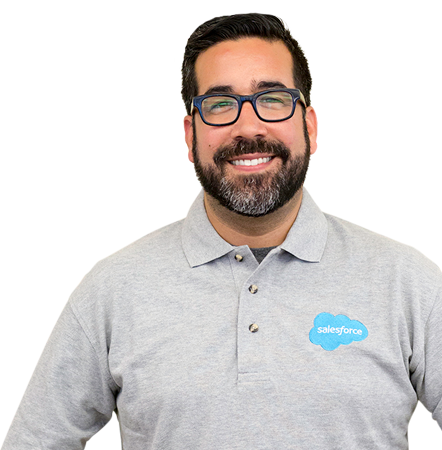 Easily log this email to Salesforce without leaving your inbox. Keep all of your activity up to date to give your team increased visibility. Review your logged activity in Salesforce. Ensure your activity is up to date whenever you access the record. 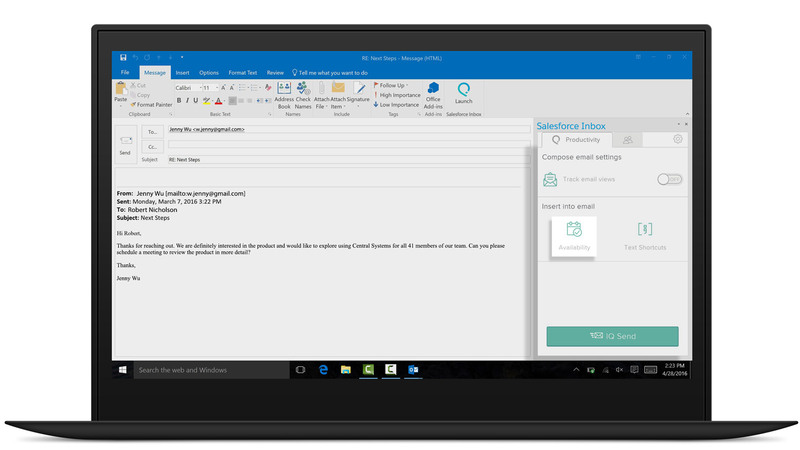 Stay informed after hitting send. Track when and how many times a prospect reads the email you sent. Know when they are engaged to make a more informed next step. 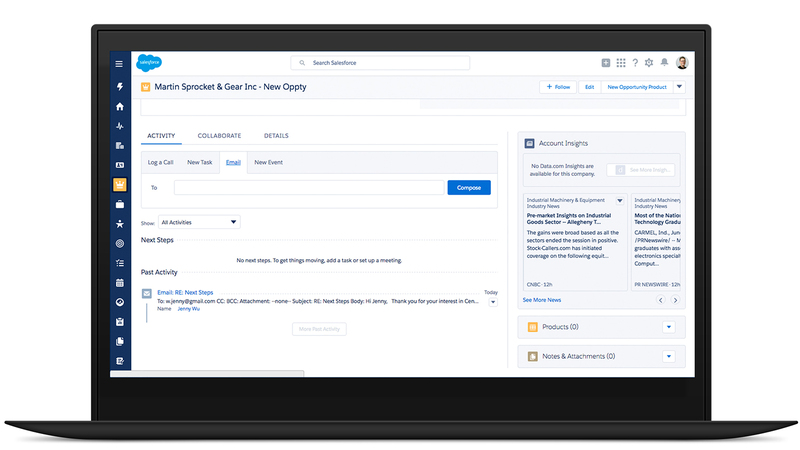 Start Selling Smarter with Salesforce Inbox. Salesforce.com does not share, sell, rent, or trade personally identifiable information with third parties for promotional purposes.